Interested in becoming a UTO Coordinator? Order and use printed materials here. 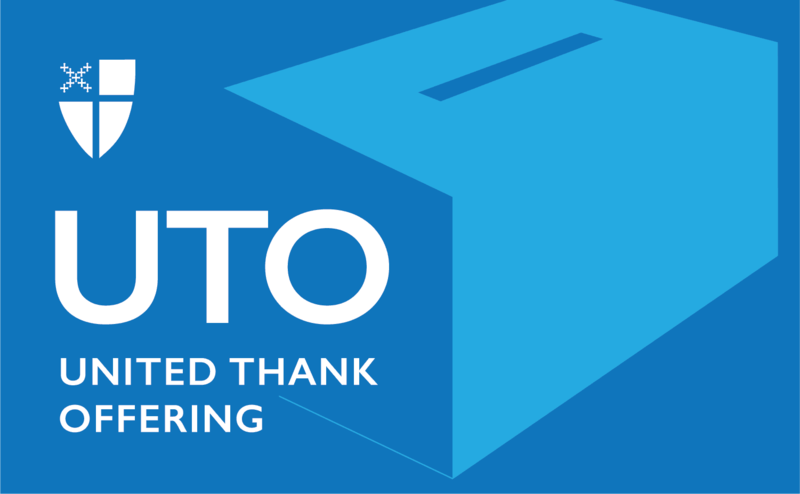 Encourage each parish household to take a UTO Blue Box and use it daily. Remind parishioners that when daily thanks is given and money is placed in the Blue Box, the money becomes an outward and visible way to say thanks. Use the sample prayers, songs, scriptural references and service materials provided to tell the stories of UTO. Or use the samples to develop your own ideas and materials. Have other speakers talk or have parishioners visit a grant sight. Create a UTO Display in a visible area using the poster and other handouts. Make it exciting and interesting! Hold a Spring and Fall Ingathering on a Sunday close to Ascension Day (Spring) and All Saints Day (November 1st) Fall. A sample letter you can send to your parish to announce the Ingathering can be found in the Resource & Development booklet. Provide blue envelopes or envelopes marked UTO for your parishioners so they can empty their Blue Boxes and continue to use them. Combine the monies sent in and send one check to your diocesan UTO coordinator. Please Note: Blue Box money may not be used for expenses. Money to cover expenses and supplies should be secured from your ECW, rector or vestry.